Unicorn Picnic | Munch like you're magic! Take a trip to Candy Mountain! When the weather is nice and the sun is out, it's time for a magical adventure. 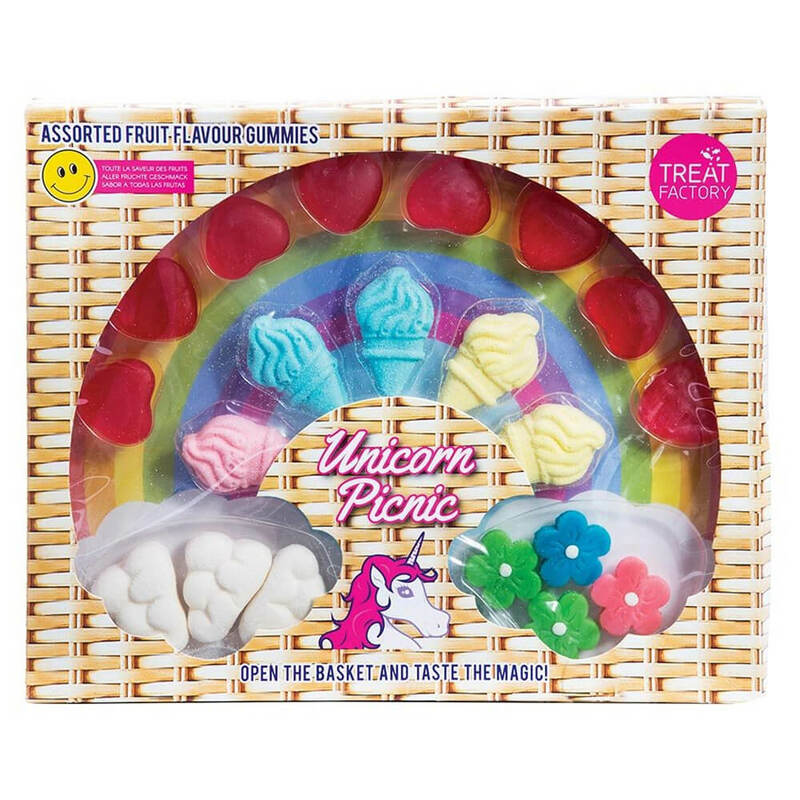 Satisfy your sweet cravings with an assortment of rainbow confectionery fit for a unicorn! You'll be floating on clouds of candyfloss as these delectable treats turn your whimsical world upside down. 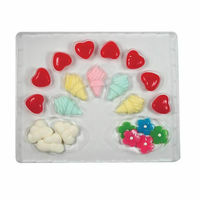 With mixed fruit flavours, your sweets are gift boxed in a pack resembling a cute picnic hamper! This Unicorn Picnic is the perfect gift to make any unicorn lover drool. Candies include: 5 x Mallow Ice Creams, 8 x Gummy Hearts, 3 x Mallow Clouds and 4 x Gummy Flowers. Move over monotonus munchies, we’re on a trip to candy mountain!